Lymphoma can occur in the conjunctiva. These tumors typically look like “salmon-patches.” Red colored tumors on the eye can be a presenting sign of systemic lymphoma. Eye cancer specialists usually biopsy lymphoid tumors and the pathologist is requested to perform special immunologic and genetic studies on the tumor cells. These techniques are used to determine if the tumor is benign or malignant as well as define the subtype of lymphoid malignancy. The “Salmon-Patch” of Conjunctival Lymphoma. 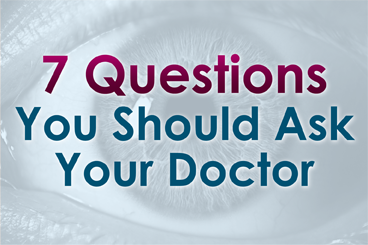 Most patients notice the reddish discoloration of the surface of the eyeball (conjunctiva). As the tumor enlarges, patients seek medical attention. Conjunctival lymphomas can become large enough to displace the eyeball, and restrict eye movement. Eye movement restriction can cause diplopia (double-vision). If the tumor extends behind the eyeball, it can be pushed forward (proptosis). Rarely, and if large enough, orbital lymphoma can press on the optic nerve and cause loss of vision. If discovered early, prompt treatment offers the best chance for recovery of vision. Pathology analysis of biopsied tissue allows your eye cancer specialist to determine if the lymphoma is a less aggressive MALT (mucosa associated lymphoid tissue) or the more malignant-behaving non-MALT lymphomas. Clinical differentiation between these types of cancers can be difficult. In either case, patients with lymphoid conjunctival tumors (ocular adnexal lymphoma) should have a complete medical check up and be followed by both their eye cancer specialist and a hematologist-oncologist. Treatment depends on whether or not systemic lymphoma is detected. If the patient is found to have systemic lymphoma, they are likely to receive systemic immunotherapy or chemotherapy, no additional eye treatment may be necessary. However, if the conjunctival tumor is the only site of disease, most patients with malignant conjunctival lymphoma at The New York Eye Cancer Center are treated with low dose external beam radiation therapy.